With plenty of reflection time since the 2018 edition of Google Cloud Next, it’s clear the majority of my fellow attendees agreed on a couple of things. First, Google is serious about making public cloud a successful part of their business strategy, and second, the amount of excitement generated by Google Cloud’s potential is tremendous—both from customers and partners. With much less IaaS baggage than the competition, Google has managed to focus on a developer-friendly environment where AI integrations are made to be as plug-and-play as possible. In addition, Google Cloud is tackling internet of things (IoT) and hybrid environments—both of which are acknowledgements that not everything is or will be in the cloud. Even with this growing momentum, there is still a healthy amount of skepticism with respect to Google Cloud’s ability to catch up and keep up with Amazon and Microsoft, and there are a few reasons why many tech vets think they will succeed. In any conversation regarding someone spinning up new projects on Google Cloud, one of the primary reasons provided is time to market—not cost nor data gravity nor feature advantage. Coincidentally, the most successful open source software projects have thrived by attracting developer interest, and this is where Google Cloud really shines over the competition. Using existing open source is a key tenet of most Google Cloud services (much of which was originated by corporate Google), and this means many developers have already created projects with Google-based open source in the past or will find additional productivity gains by setting up local stacks while developing for Google Cloud. Nearly every product announcement at Next ‘18 was accompanied by a developer pitch—ranging from an engineer-involved demo to showcasing an URL or API in the UI for practically trivial integrations. 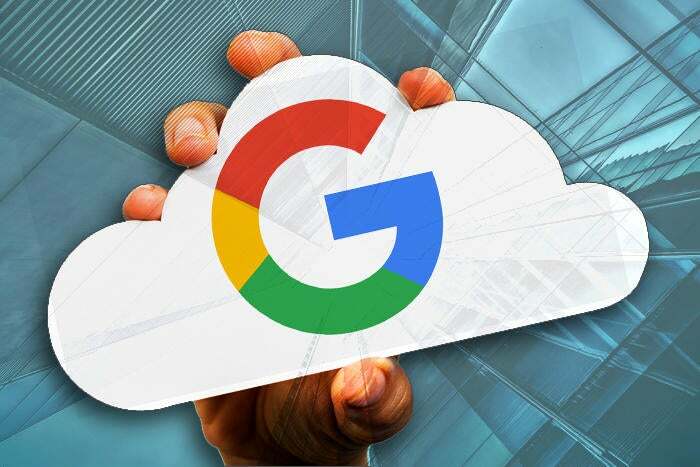 In addition, each new announcement was mentioned alongside its sister services, allowing follow-on integrations within Google Cloud to be easy as learning Python. This developer-first approach will benefit Google Cloud in the long run, with new projects having a substantial time-to-market advantage in a three-horse race, where developer influence naturally grows stronger in the maturing world of devops. Google created and open sourced Kubernetes about five years ago, which is now becoming the de facto container orchestration system of today, with about 30 percent market share, and Google Cloud had a Kubernetes service (GKE) in production more than three years ago. Suffice to say, Google has an insider advantage with Kubernetes and has decided to double down with the announcement of Istio, which is a microservices management system with tight Kubernetes integration (as well as Docker). Istio sticks with the common open source theme, and it comes as a Google Cloud managed service in Cloud Services Platform. When combined with Knative, which allows Kubernetes to handle serverless operations, Cloud Services Platform becomes a developer’s dream environment for Kubernetes microservices and the integrations for the rest of Google Cloud Platform (GCP). As a bonus, using these managed open source products in GCP gives developers (and their executives) additional plausible deniability when challenged with the question of portability to other cloud vendors. With only about 10 percent of IT infrastructure in the public cloud, there is plenty of room for the Big Three providers and a decent number of small to medium providers to all find profitable niches. As mainframe history often reminds us, on-premises infrastructure won’t disappear nearly as fast as the headlines would like us to believe, and Google Cloud appears to be leading this charge with GKE On-Prem. GKE On-Prem allows Kubernetes containers to run independently across on-premises infrastructure, while being managed via the same mechanisms that GKE operates. With GKE On-Prem, IT organizations now have the ability to integrate with legacy on-prem applications and/or run highly sensitive workloads locally, and from a development point of view, running microservices in the public cloud versus on-prem is completely obfuscated. So many articles have been written about the cost comparisons among the Big Three cloud vendors (Amazon, Microsoft, and now Google), but in reality, cost is effectively a common denominator across these vendors as much more important factors come into play. Google Cloud is betting on a tried-and-true Google strategy of roping in developers with simple-to-use interfaces and highly integrated cloud services. Advantaged with G Suite as part of the Google Cloud offering, many existing G Suite shops (of which there are many) find an almost instinctual introduction with Google Cloud, even more than heavily Windows-based organizations find comfort with Azure. Interacting with the Google Cloud console feels like a fully integrated environment and much less like a clunky management interface on top of disparate services, and as those of us who developed an admin console after the fact know all too well, it’s not an easy catchup process due in part to those pesky paying customers. Given the marathon nature of this cloud race, Google Cloud has plenty of time (and resources) to make a solid dent in mind share. With the combination of receptive developer environments, open source roots and a hat tip to enterprise on-prem needs, Google Cloud is far more than a dark horse; they are a cold sober contender. Mike Lunt is vice president of Engineering for Zenoss, and oversees the global engineering teams responsible for open source and commercial software.